From Chaos we came and to Chaos we return... or so says mythology from around the world. In ancient Egypt, Chaos was a vast and endless ocean that predated everything in existence. Chaos was not intangible, but was rather a formless, physical material that gave birth to all of creation when ordered. Those who did not believe as the Egyptians did were the agents of Chaos, and were viewed by ancient Egyptians as a threat to life as they knew it. In the beginning, there was nothing but the void of Chaos. From this endless chasm came Night and Death (Erebus), and from them, Love. From Love came Light and Day, which gave birth to Gaia (the Earth). Gaia gave birth to Uranus, and from their union was born the three Cyclopes, the Titans, and the Hecatoncheires. When Gaia became angered at Uranus, she convinced their son, Cronus, to overthrow him. As his blood spilled, the Giants, the Nymphs, and Furies were born. Meanwhile, Cronus set up shop as the ruler, and birthed yet other children, including Zeus. Zeus, of course, eventually defeated Cronus, and took his place as supreme ruler. Zeus is eventually overthrown by another God, and so on and so forth. As each new God takes the place as supreme ruler, a new age begins. This, of course, is not an uncommon theme in mythology and religion. 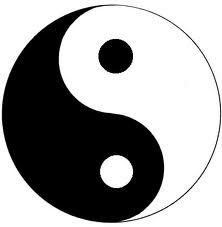 The eternal struggle between order and chaos, good and evil, or light and dark is a staple in religious belief from around the world. When the scale tips too far in favor of one, a battle or apocalyptic event occurs to rebalance the scale, or to tip it in the other direction. In Christianity, for instance, when chaos begins to gain a great foothold in the world in the form of the Antichrist, a great battle will be fought between good (God) and evil (Satan). 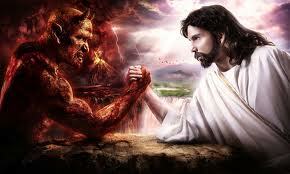 God is expected to win this battle, and tip the scales back in the direction of good, or order. Nonbelievers are cast into hell, and the faithful will be granted eternity in a peaceful paradise. The tale is the same in most apocalyptic tales or prophesies of the end times. They deal not with the end of the world, but with the end of a given age or time. The Mayan calendar, for instance ends on December 21, 2012. The world does not end at that point. A new age starts. In Norse mythology, when Ragnarok comes, one man and one woman survive and the world is reborn from them. In the Hindu faith, when man reaches a point of abject depravity (a time referred to as the Kali Yuga), the Kalki Avatar comes to destroy the wicked. Order is then restored and a golden age comes. The list of similar beliefs and myths goes on. The true end, then, comes only when Order gives way completely to Chaos once again. What was made through the ages is unmade, and we return to that formless void, or that endless ocean. As the ancient Egyptians believed, the Serpent returns and creation sinks once again into that vast, endless ocean. Life as we know it doesn't end, but life itself ends then. How (or if) that happens is anyone's guess, of course. Maybe it's a blackhole that swallows everything. Or a giant snake that opens his jaws and devours us. Or, if one wanted to take a religious viewpoint, perhaps that time comes when/if good (God, etc) is overthrown by evil (Satan, etc). After all, if anything is capable of destroying life itself, why not evil? Personally, I prefer that such an event never happen and we keep on keeping on through each new age from here to... well, eternity. That's much more pleasant than Chaos, don't you think? Do you have a favorite creation myth? "D"on't miss me too much! *The title of this post comes from a quote by Henry Miller. Wow. Your post pretty much nailed the themes I am exploring in my work-in-progress. I guess this is a sign that I really need to get back to work and put an end to that first draft. Thanks for providing much-needed inspiration. It is a pretty morbid theme! For what it's worth, it came about because of my debut novel. :) I'm glad the posts have been making you smile; I was hoping I'd been making the entries as fun as possible to make up for any unpleasantness involved. Thanks for commenting!